Breakaway’s Black Knight is a fearsome foe—all 400 pounds of him. Clad in spiky black armor, standing seven feet tall, and with a man-sized axe in his massive gauntlets, he’s basically a murderous brick wall standing between me and freedom. ...For the basket? It’s true. I sprint up the stairs of fabled El Dorado, leap into the air like some ancient-world Michael Jordan, and slam a golden ball down into the pit on the ground. 1-0, our team. It’s an interesting phenomenon that the best “Sports” video games are at best an abstract representation of real-world sports. Oh sure, developers have made astonishing simulations of real sports, with the world’s best football and hockey and soccer stars meticulously recreated not just in appearance, but with tables upon tables of stats to delve into. But even the best of these simulations feels somewhat clunky, one or two steps removed from “Sports” in their purest form. So while EA’s FIFA games might be the most accurate-looking soccer game on the market, it’s Rocket League that more faithfully mimics the feel of playing soccer. I think Breakaway, Amazon’s debut game, is going to fall into a similar category. 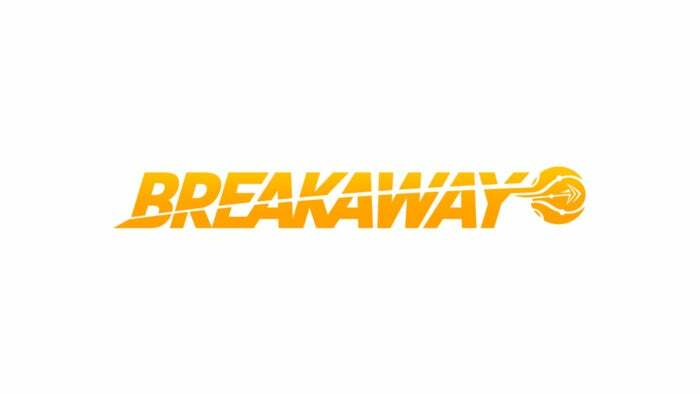 In terms of rules, in terms of its character roster and setting, Breakaway is like no sport you’ve ever played—and yet it feels like football or like basketball in certain vital ways that the official adaptations (Madden, NBA 2K) don’t quite capture. Blending elements of both Dota 2-style MOBAs and third-person action/shooter games, Breakaway actually sits pretty close in taxonomy to the criminally-overlooked Super Monday Night Combat. Teams are made up of heroes drawn from history and from legend, four to a side. Roles are fairly standard: You’ve got your tanks, like the Black Knight. There are damage dealers, like Spartacus (who can kick enemies off the edge of the map) or the ranged sniper pirate Anne Bonny. And then supports, like King Arthur’s nemesis, the sorceress Morgan Le Fay. But Breakaway’s “It’s a MOBA, but...” gimmick is in how scoring works. Rather than fighting your way down lanes trying to destroy an enemy base, you’re instead trying to grab a golden ball from the center—the “Relic”—and deliver it into circular goal behind your enemy’s lines. Easy enough, except there are so many other things going on. Combat proceeds apace while you’re stuck carrying the ball, and a single hit causes you to drop the Relic. Complicating matters is the fact that players can reinforce their lines with fortifications, from simple walls to ballistae to a Tesla coil that zaps you if you try to jump past. The more viable option is your whole team crashing the opponent’s goal, passing the Relic back and forth and using player-built jump pads to outflank the enemy, trying to get up above the goal and throw the Relic in. Just hope the enemy doesn’t intercept it. And while getting the Relic to the goal is the most reliable way to score, the round also comes to an end prematurely if one team manages to completely eliminate the other before anyone respawns. This makes minute-to-minute play a delicate balance between pushing towards the enemy goal and not getting so overextended that your entire team is knocked out at once—or maybe just playing a strong defense and gunning for the enemy squad, hard as that can be. As I said, it feels more like a sport than most sports games. We played Breakaway for about two hours last week, and while our first few rounds were a confused mess we soon had people vaulting to higher ground, passing back below, picking off defenders, and playing quite a bit more tactically than you might expect given how chaotic it seems. There are even some nifty advanced maneuvers that I don’t think any of us quite got the hang of—for instance, you can slide down any set of stairs, Tribes style, which is especially helpful in giving defenders a speed boost in their own territory. That is, if you remember to use it. I think we were mostly too focused on just maintaining control of the Relic. Some aspects could use fine-tuning. The interface is a bit convoluted for my tastes, with an ugly free-to-play game vibe to the layout—especially when upgrading your character’s stats, which is done between rounds (or during, if you’re quick enough) on an cumbersome and awkward grid. 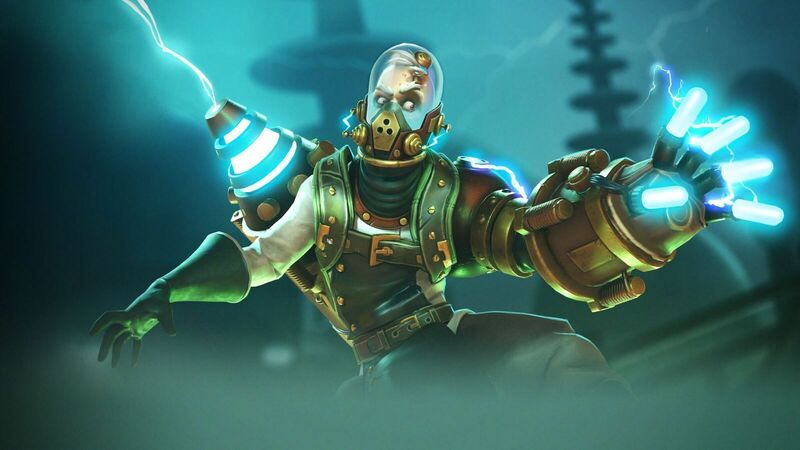 The game could also use an Overwatch-style “Press F1 to see your abilities” overlay. And the health bar is in a weird spot, too small and too far out of your peripheral vision to keep an eye on it in the heat of combat. I died quite a few times because I simply didn’t realize I was in any danger. Then there’s the fact that, well, the “Hero-Based Action Game Thing Like Dota But With A Twist” genre is full to bursting these days. That’s probably Amazon’s biggest hurdle, simply convincing people that Breakaway is good enough to command their attention away from Dota 2, League, Heroes of the Storm, Smite, and a dozen other me-too games. Saying a game reminds me of Super Monday Night Combat isn’t the greatest of compliments when you consider that Super Monday Night Combat died on the vine. Breakaway’s only in Alpha though. There's plenty of time to address these issues, provided Amazon listens to the community and takes its feedback seriously. The team certainly won’t have long to wait, with the game entering a brief semi-open Alpha phase today, December 15 at 6 p.m. (and lasting until December 19). We’ll see what the world thinks of Breakaway soon enough.